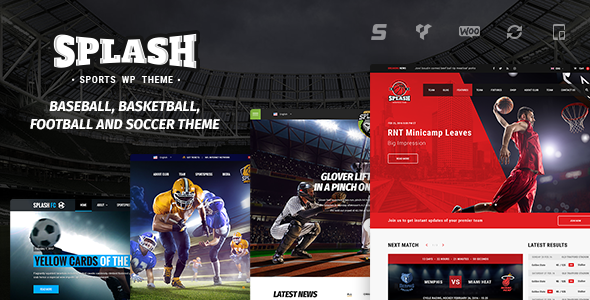 Splash has been designed for pro, amateur and community football, soccer, basketball and baseball leagues and clubs. This robust, powerful and flexible sports theme comes with all the bells and whistles you need to present your league, club and player achievements and news in style. At StylemixThemes, we conduct an industry “deep dive” before building our themes, so we fully understand each and every feature that is required. Splash is no exception.